Welcome to Local Dialogue’s weekly London local election briefing, bringing you updates from the key battleground boroughs. 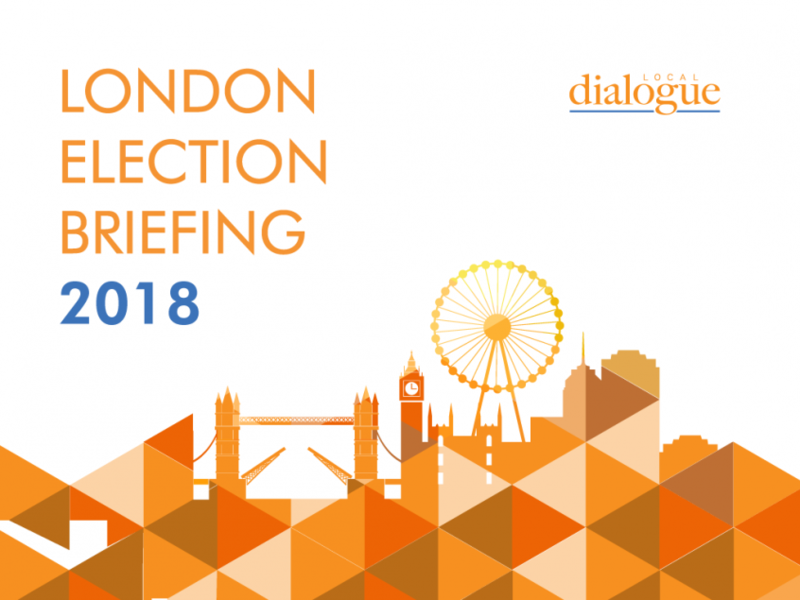 Contact the political team at Local Dialogue to receive our London-wide pre-election report, or commission a more in-depth study of any borough. The Evening Standard splashed on yet another worrying set of polling for the Conservatives. A report by former Conservative Party Treasurer Lord Ashcroft claims that voters in London are still aiming to punish the government for Brexit. Importantly, it also shows that the key Conservative election messages of low tax and cheaper local services may not be getting the traction the party would hope. Only 18% of respondents in Conservative-run councils said their council delivered on lower taxes and better services. One crumb of comfort for them is that respondents in Conservative boroughs were on average happier with the way their council was run (32% compared to Labour-run councils on 25%). Westminster councillor Robert Davis has stepped down as deputy leader, several weeks after revelations about the gifts and hospitality he had received from developers while Chairman of the Planning Committee. Cllr Davis maintains he has done nothing wrong, saying he did everything only "to further the interests of the city and its residents”. The Labour opposition welcomed the decision, but busied itself this week by continuing its rolling policy announcements. Policies announced this week include a five point plan to improve Westminster’s housing ALMO City West Homes, and the creation of “a new type of affordable homes” called Westminster Key Worker Homes. 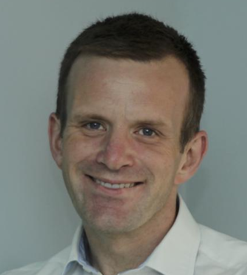 In Wandsworth, a former Conservative councillor who has been sitting as an Independent since 2015 announced he would be fighting the May election as a candidate for the brand new “centrist” Renew Party. Cllr James Cousins of Shaftesbury ward wrote on his blog that he rejected the Conservative and Labour parties (both of whom he calls “extreme”), but considers the Lib Dems too tainted by their involvement with the coalition. Ironically, if his personal appeal is enough to secure several hundred votes, he may simply deny this competitive seat to Labour, ensuring it stays Conservative. Also in Wandsworth, Conservative leader of the council Ravi Govindia announced a new strategic partnership between Peabody and the Battersea Power Station developers to deliver 386 affordable homes. Cllr Govindia said: “we are pleased to be working alongside [Peabody] again. I’m delighted to see these hundreds of new homes being delivered at affordable prices and it’s also pleasing that four-bed homes are going to be available for local families”. The Labour opposition leader Cllr Simon Hogg poured scorn on the plans in the overall context of Battersea Power Station, and vowed to continue campaigning on the issue in a series of tweets. 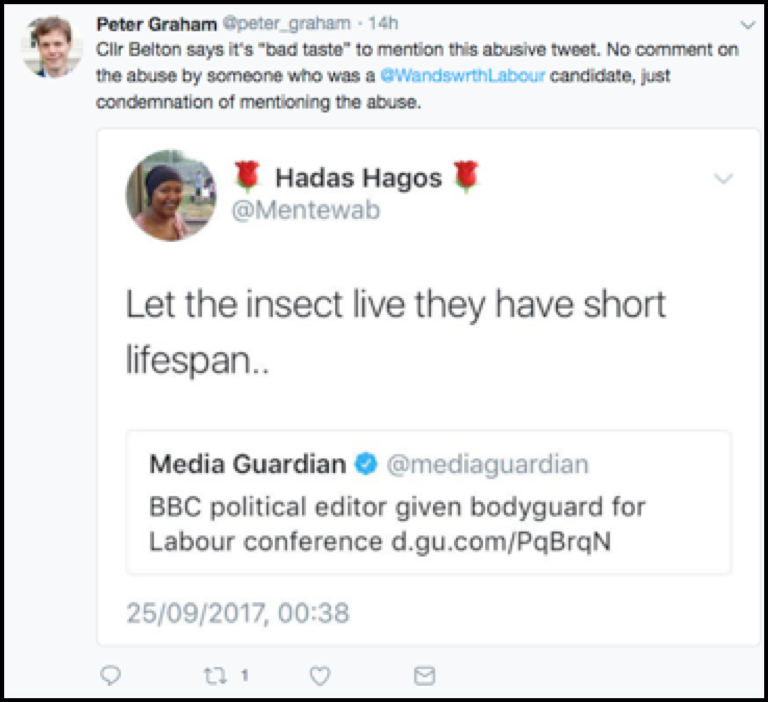 Wandsworth Labour may be confident about the May election result, but this week they had to remove a council candidate due to her abusive social media posts. Conservative candidate pressed the issue on Twitter, saying the opposition had “quietly replaced Hadas Hagos in Queenstown, following her shocking abuse of Laura Kuenssberg”. Hagos’s replacement is local activist Maurice McLeod. The Brent councillors that objected to the “rail super-hub” at Cricklewood have written to Local Government Secretary Sajid Javid asking for a public inquiry on the matter. Barnet Planning Committee approved the scheme last month, but Labour Councillors Ahmad Shahzad, Liz Dixon, and Lia Collacicco are claiming that Barnet Council “tried to silence Brent”. They also ask the bold political question of whether “one administration in its final days bind the hands of its successor on such an important, controversial and poorly managed process?”. Meanwhile, Labour opposition leader in Barnet Cllr Berry Rawlings presented an alternative budget at Tuesday’s Full Council meeting. The headline promises are to fund 30 extra police officers, 800 new social homes and to launch a Fairness Commission to “ensure resident are not excluded from regeneration plans”. 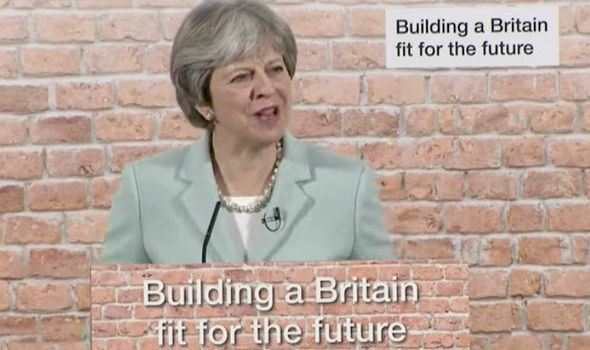 The Prime Minister, Theresa May, delivered a speech on Monday, focusing on reform of the planning process to “make housing fairer”. The headline-grabbing proposals include: allowing planning committees to take into account a developer’s record on building out approvals when determining new applications, and changes to viability appraisals to take into account the actual value of the land and not what was paid. Reaction was predictably mixed. Homelessness charity Shelter claimed the proposed reform of viability doesn't go far enough, while Kate Andrews of free market think tank the Institute of Economic Affairs argued in The Telegraph that the release of land from the green belt was a more urgent reform. Havering Conservatives withdraw “dog whistle” campaign leaflet; infighting in Wandsworth Labour; Redbridge councillor investigated over planning committee interference; Javid updates councils on Local Plan intervention.